It’s always been a little wild over on Fry St, but it's officially Loco in February with PO-K Loco moving into the spot that recently housed Erbert’s and Gerbert’s, at 119 Ave A, Denton, TX 76201. Those same fellas behind Komodo Loco are bringing their Asian Latin fusion flair for flavor over to Avenue A with a Komodo offspring. Pictured Left to Right, Micah Fleck, Kyle Krueger, and Cory Bobbitt. Fleck contacted the realtor that evening, and had an appointment to see the space the next day. After getting approval from his wife, he brought the idea to his business partners at Komodo. This dynamic trio has seen such success with Komodo and been able to make a great impact in the community, that Krueger and Bobbitt were all for Fleck’s idea and believed in his ambition. “I think it's just ironic and nostalgic that we all went to high school over here, this is the area where all got to know each other, and spent a lot of our 20’s and early 30’s. It feels like a homecoming,” said Fleck. If you’re wondering if UNT has an Entrepreneurship program, they sure do. I graduated from it with a BA and focus on Business Management back in 2010. Here’s is what you can look forward to with this new concept and their flavor forward menu. 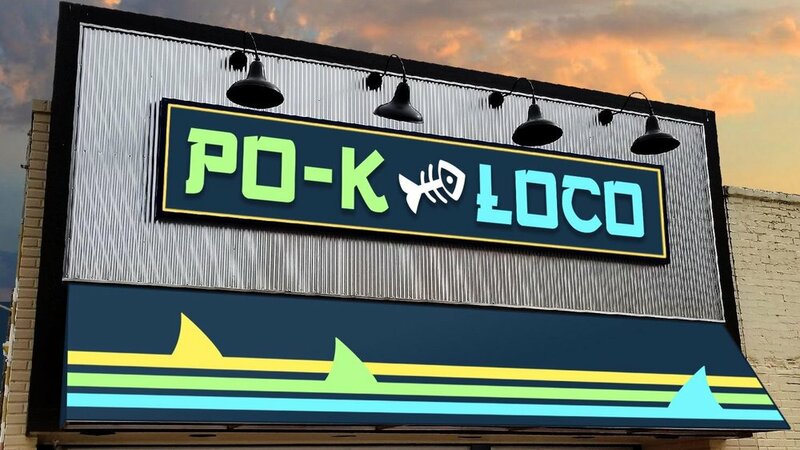 PO-K Loco will be fast casual, with the option to customize a Poke Bowl or Poke Nachos with one of the following proteins: salmon, tuna, tofu, grilled shrimp, or grilled chicken. They plan on having 3-5 signature option for each the bowl and the nachos, or you can make your own creation. If a bowl is more your style you can choose from sushi rice, cauliflower rice, a romaine slaw, or arugula. If you have a hankering for nachos, PO-K Loco offers your choice of chip: a crispy kettle chip, Maui sweet onion BBQ, jalapeño chip, or the classic tortilla chip. 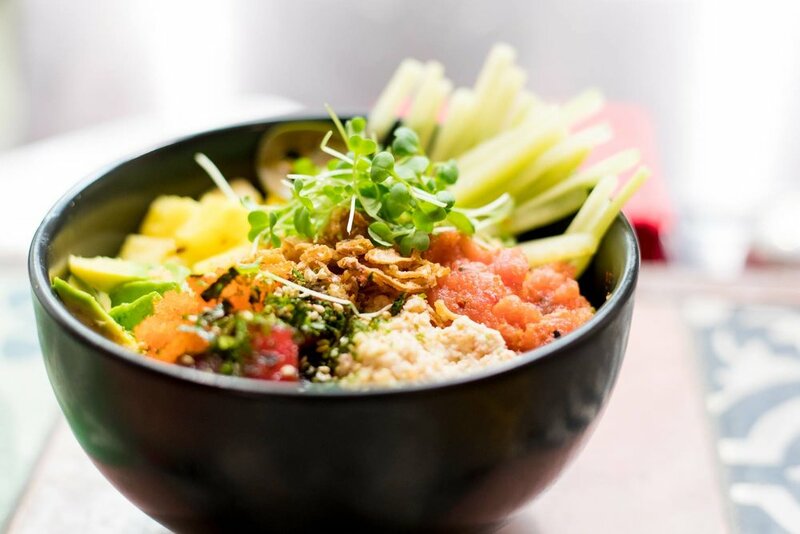 Keeping in line with their fusion of flavors, they will offer the more traditional Hawaiian ingredients while also bringing some more interesting options like toasted coconut, the pickled veg and corn pico de gallo they concocted over at Komodo, fried garlic, and fried onion. Setting themselves apart from the out of the box poke shops that have popped up all across the metroplex. Starting off simple to keep customers happy and service speedy, they anticipate broadening the menu to include soups and salads once they get into the swing of things. They are hiring, the signage is up, and this beautiful space with tasty poke options will join the Fry St. business family next month! This is a mock-up of the new signage that will be installed.